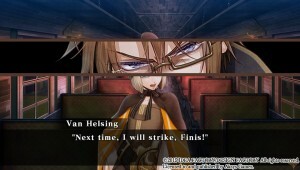 The Vita has become a popular platform for visual novels, and lately the West has seen its share of localizations, including Steins;Gate and Hakuoki. Otome games are a popular genre in Japan targeted towards a female audience, but anyone can read a fun story; it’s just a sweet bonus to try to win over the pretty guy. Over the summer I spent over 100 hours playing Tales of Innocence R, which makes me believe it’s been a while since I played a translated Japanese game. 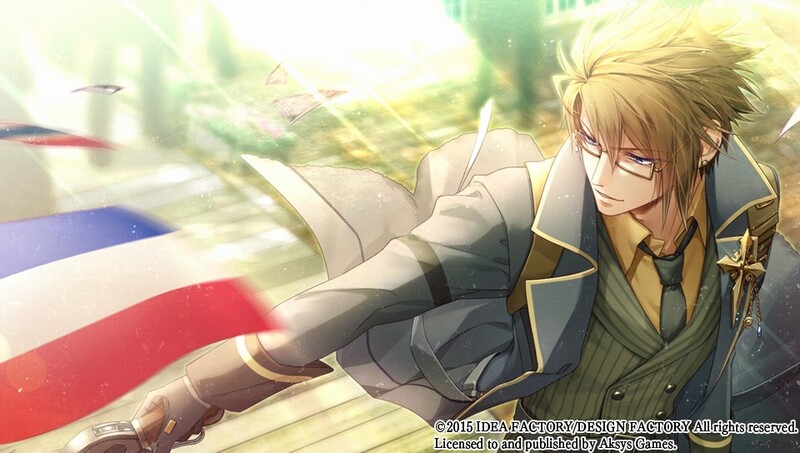 Playing a visual novel is certainly less stressful than having to fight a final boss at Level 30 for a trophy, so I was willing to give Aksys Games’ Code: Realize ~Guardian of Rebirth~ a whirl. Also, I saw an angry dude with glasses, so I had to have him. Notice me. First off, Code: Realize is a very simple game. There is minimal effort needed on your end, and you can even run the game on autoplay. The touchscreen and X button will both advance the text. Pressing start will turn on autoplay, while select will switch between nonstop and skip modes. This is helpful when dealing with multiple playthroughs, as once you hit text you have not read, the game will stop skipping. Likewise if you are on autoplay, the text will stop when you have to make a choice. If you miss anything, you can flip the left joystick up and scroll through the text you have gone through and even rewind back to replay scenes. The Triangle button will bring up your standard menu and the Circle button just hides the text box or exits the menu. The right and left trigger buttons offer quicksave and load along with the fact you can save and load normally at any time. Plenty of save slots included! Occasionally you will see red highlighted text that eventually goes into the Glossary. When a new term pops up there is a notice in the top right, and you can then press the down button to read the explanation. You can access the Glossary anytime during the game or at the title screen. It makes for extra interesting reading, but do remember this is a fictional world and alternate timeline. Familiar names of people, places, and phrases will pop up, but this isn’t your typical history lesson. 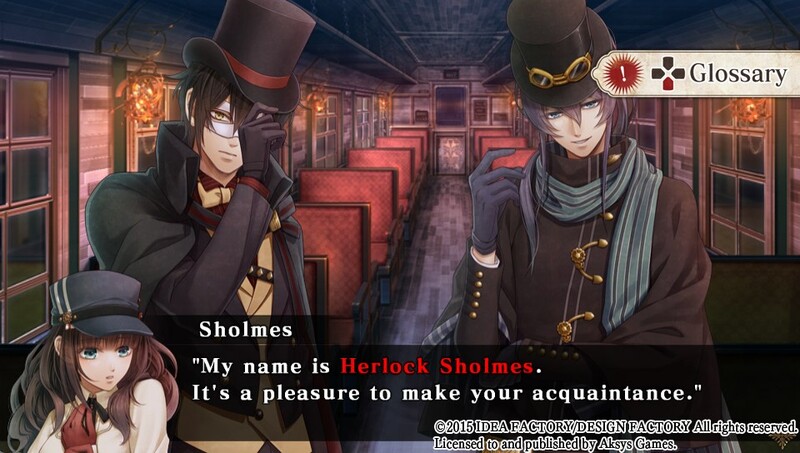 You all remember our good friend Herlock Sholmes, right? …Right, of course. …only to be stopped shortly by a masked gentlemen thief named Arsène Lupin, who set a trap for the group as they try to leave. Lupin’s sudden appearance enrages the Royal Guard, as the thief is famous in Paris for always getting away. And what does Lupin do? He gets away. With Cardia no less! 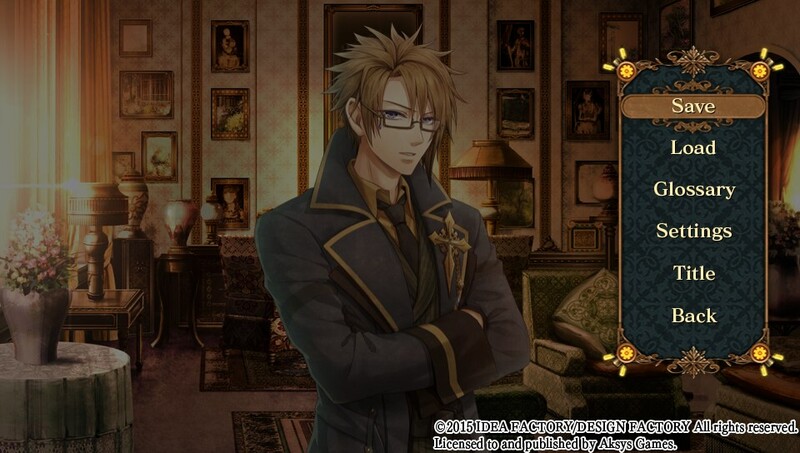 After making their escape, Lupin formally introduces himself to Cardia and explains he rescued her because the Royal Guard was after the gem in her chest, the Horologuim, a creation by her father Isaac Beckford, which was put into her body two years ago. The Horologuim is what makes deadly poison run through her veins and is said to be a source of unlimited energy. Lupin is a thief, but claims he has his own sense of justice and couldn’t let them or anyone else just take her. 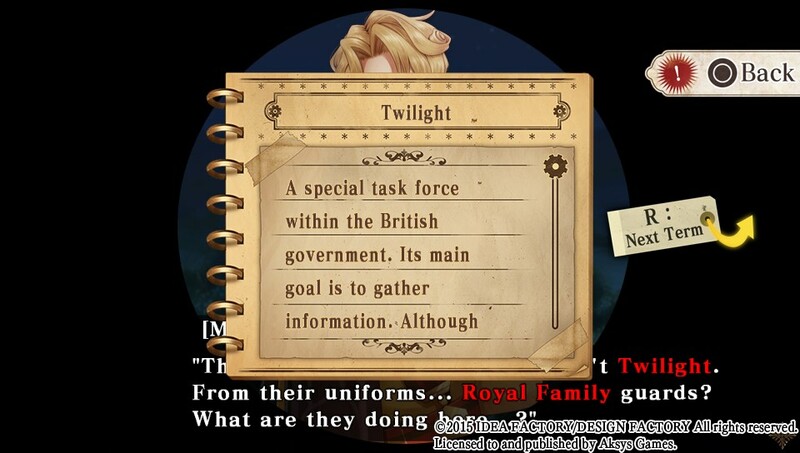 He reveals how he obtained information that Twilight, a task force within the government mainly used to gather information, is plotting a terrorist attack. Lupin wishes to find Isaac to prevent any damage. 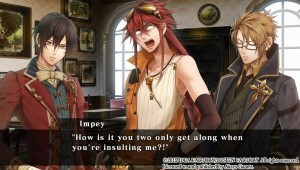 Later they are joined by Impey Barbicane, Lupin’s engineer partner, and they agree to help Cardia. So with a partial party in set, they head into London. Lupin takes Cardia to a large mansion owned by their landlord Saint-Germain, who occasionally tags along their later adventures because they amuse him. As they try to dig up more information, they seem to pick up more clues and people. 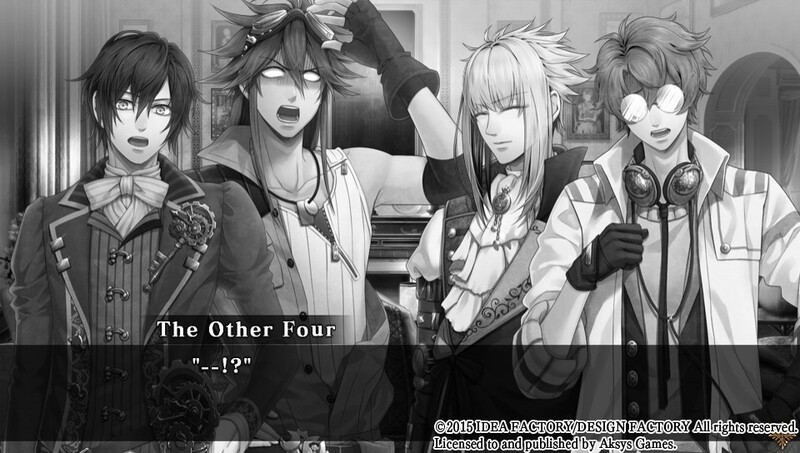 When Cardia is separated from Impey, she is saved by Victor Frankenstein after some thugs who try to attack her. Victor at the time is a wanted man for terrorism (that he didn’t do I may add) but he was a former British Royal Alchemist and knew Isaac. He is seeking shelter and want to clear his name but in exchange for staying hidden with them he will aid in trying to help cure Cardia. Finally, the last to arrive to the party is Abraham Van Helsing, a hero from the Vampire War who has been looking for information on… you guessed it (maybe), Isaac. Though he is reluctant, Van Helsing also joins their cause because they all have something in common in trying to locate Isaac. This man was known as a scientific genius, a modern-day Prometheus who changed much of history and the reconstruction of London. But one day he disappears, after putting a gem with a source of unlimited power into his own daughter. Lupin’s Gang, proudly declared as such by Lupin because he can, set their goals to helping Caria and finding answers, so many answers, to everything leading up to where they are. There are 5 true route ends. 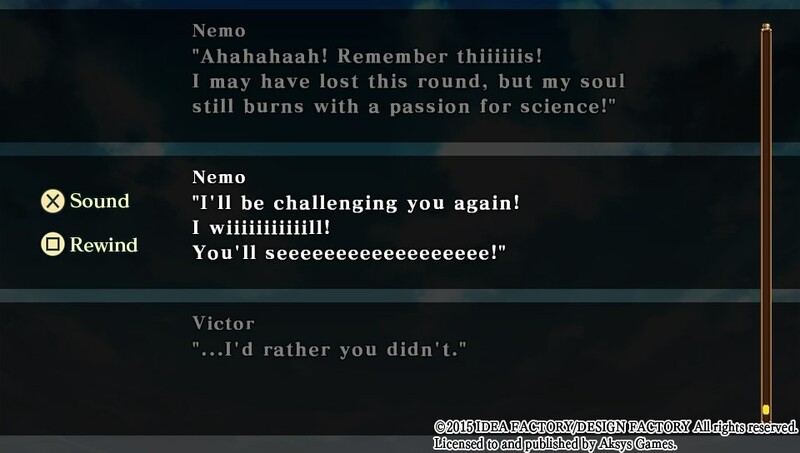 Within each route, there are about 3 to 6 bad endings that can occur between chapter 9 and the finale. 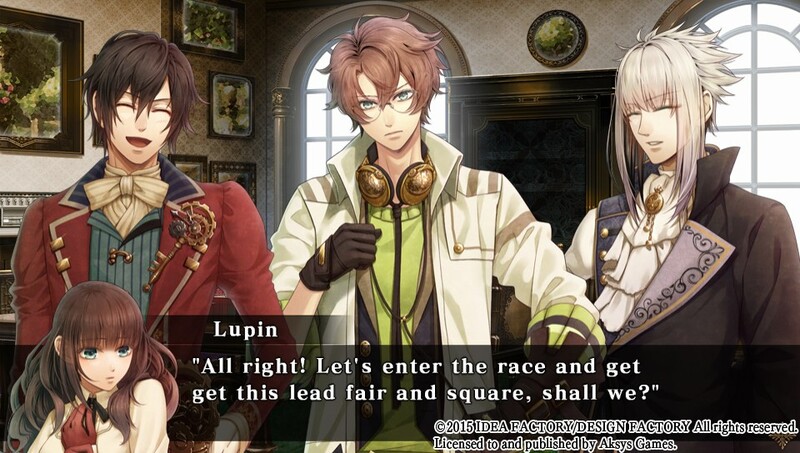 Not only will the decisions you make decide Cardia’s fate and change the impact of the story, it will raise affection levels with the main five suitors – Impey, Victor, Saint-Germain, Van Helsing or Lupin*. Throughout the game, there are certain times when Cardia has to make a choice. While there is no easy way to tell, some options will be in favor of one of the five men. From the prologue to chapter 8, the story remains fairly linear; they are Cardia’s chapters, if you will. By chapter 9, the story splits up and you will have started a character’s path. You can tell which guy Cardia will end up with depending on who is accompanying her by the end of chapter 8. Chapter 9 is the official start of the branched out route, and after this, you have to continue selecting answers to then lead to a true end or bad end. Each character route is unique, and will end with different outcome, as you interact with other characters and solve one of the mysteries surrounding our dear heroine. Yes, only one; you can’t solve all her woes that her father left for her. 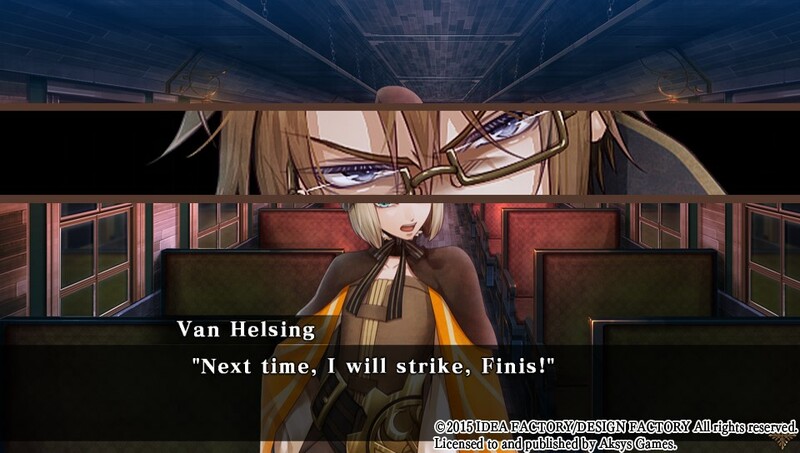 For instance, if you are in Van Helsing’s Route, you get to learn about the Vampire War and Cardia will be face to face with a certain famous serial killer (and other generally terrible people). 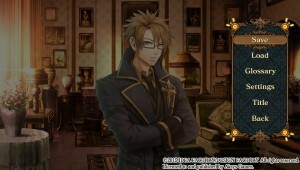 With Victor’s Route, you deal with Queen Victoria and how Victor is connected to Isaac. I know five character ends doesn’t sound like a lot, but it will make for good replay if you want to get all the endings and learn more about Cardia. It should be noted that you need to get all the bad endings for trophies, so always remember to save often and make awful decisions once in a while! But wait, Cardia’s father said the second thing she must never do is fall in love. Why are we trying to raise the social links with guys if she shouldn’t know the meaning of being loved? Well… she already broke the first rule of leaving the house within minutes into the game, may as well go all out here. This game only has a Japanese voice track, as it has no English dub, which is fair because this game has a lot of lines. 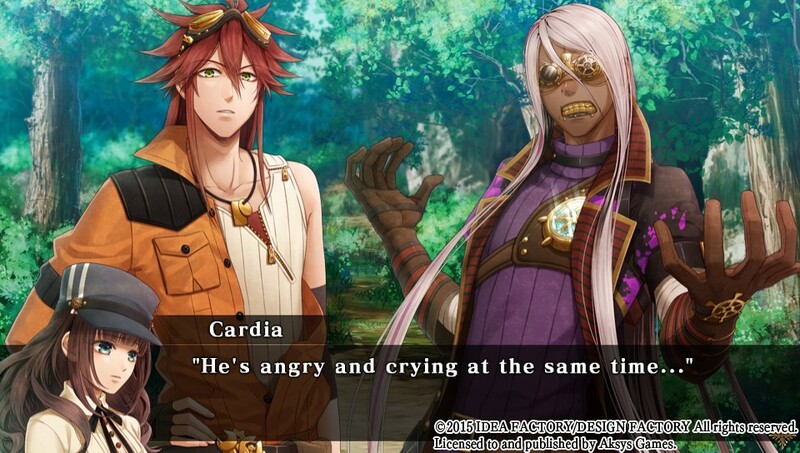 Cardia herself is not a true silent protagonist like Isaac from Golden Sun or Yu in Persona 4, but none of her lines are spoken. She talks, just not out loud. Aside from certain inner monologues and flashbacks, all the dialogue is voiced. Being a huge anime junkie makes Code: Realize a treat because some of the biggest Japanese voice actor names are in this game. Tetsuya Kakihara, who voices Victor, is also Shing from Tales of Hearts R and Jin in the BlazBlue franchise. Junichi Suwabe voices Van Helsing, famous for his role as Atobe in Prince of Tennis, which really never caught on in the United States, but let me tell you, in Japan it’s a thing. Persona 4‘s Yosuke, Shoutarou Morikubo voices Impey, who is in a way, this game’s Yosuke. The soundtrack, according to the Extras section, is only 25 tracks, so it’s a small selection. While it’s not as big as, say, a JRPG, the music is still rather pleasant and fits the environments they play in. The opening and ending themes are both performed by mao. I first heard mao in the Linked Horizon concerts for Bravely Default, so I was ecstatic to hear her music again. The songs are really calming to listen to. The other goodies in the Extras section include Movies to watch the opening and ending credit sequences, a CG Events gallery, and Extra Character Scenarios. These are just silly side stories, there is one for each main male characters, and they are unlocked once you complete a character’s good ending. As a whole, Code: Realize is just downright gorgeous. The game is completely in 2D, and all the backgrounds and character portraits are bright, colorful and finely detailed. During special moments of the game there are CG events. There is not much movement in the game, so mostly everything is static. 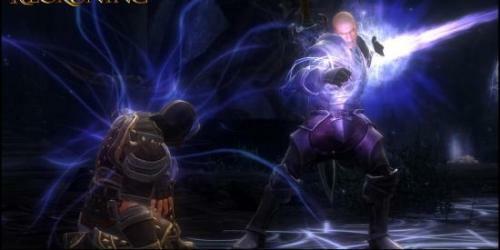 If the characters are in a panic or rush, the background may be blurred to imply they are running or show flashes of twisted light to show fighting, along with simple sound effects. Everyone important (or that has a name really) has a full body character model who will appear on screen when they are talking. Generic background folks don’t get any art and just have different voices. Cardia herself has a small bust portrait in the bottom left corner to indicate when she is talking to the others or thinking. The character designs are beautiful, with amazing detailed costumes to boot. Except Finis, his hair pisses me off. His everything pisses me off. Just his existence enrages me. While characters aren’t actually animated when talking or visibly moving, their faces or postures will change depending on what they are saying. There are changes in their eyes and mouths, the portrait having a close up to the screen, and switching positions as dialogue goes along makes it seem like they’re having a conversation… or argument, these people are crazy. 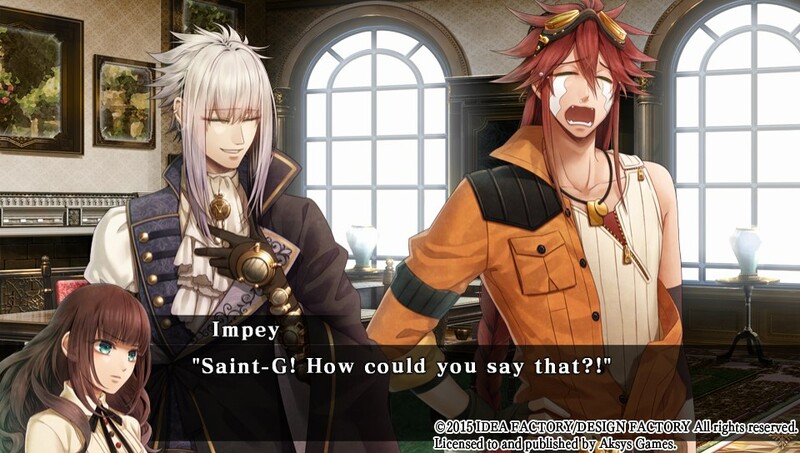 Impey is actually the only character who has exaggerated anime expressions, such as dramatic crying or simply looking like an emoticon. Impey just has so many feelings. 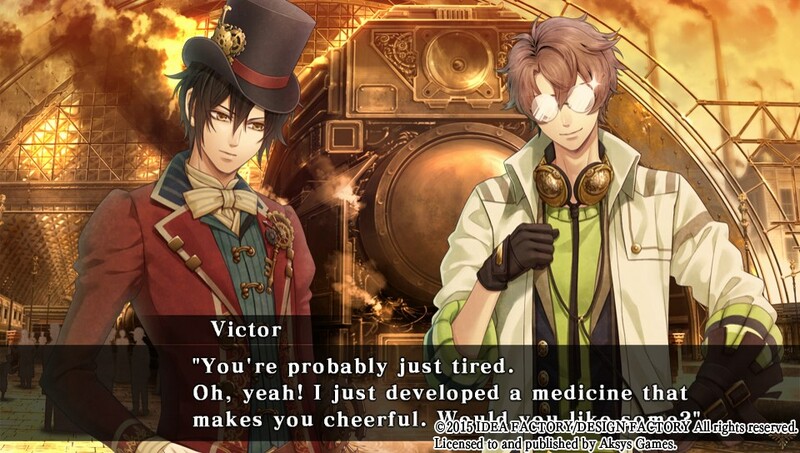 Victor has a few images when his glasses cover his eyes making him look like a mad scientist though. And Saint-Germain only changes expressions dramatically when his eyes are actually open. That’s classic ominous landlord guy. This game is easily more than 30 hours long, and if you want to see through to the end of all the happy endings (debatable I admit but hear me out) you need to have at least a minimmum of five playthroughs. 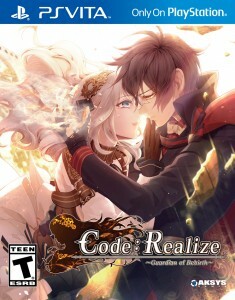 In the end, Code: Realize offers a great story, bis eautiful visually and musically, and is accompanied by an amazingly bizarre cast of characters. Cardia makes for a lovely protagonist with an interesting backstory, and I couldn’t help to continue to want to know more about her. 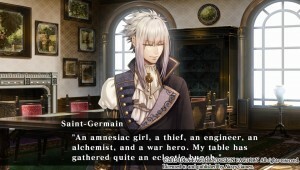 While playing with your usual anime cast tropes, such as emotionless war heroes, emotional punching bag sidekicks, and whatever Saint-Germain is, this romance, of a mysterious girl who was told to never love, is a visual novel you don’t want to miss. 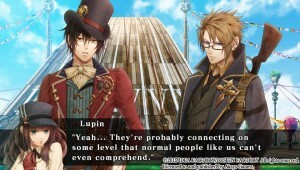 *It may be worth noting, but you can’t start Lupin’s Route until you finish the others. So don’t worry, it’s not you, it’s the game. Lately the Vita has been on fire with visual novels including otomes. There’s something really calming about sitting down to just simply read, and becoming emotionally attached to 2D anime guys as you try to woo them. 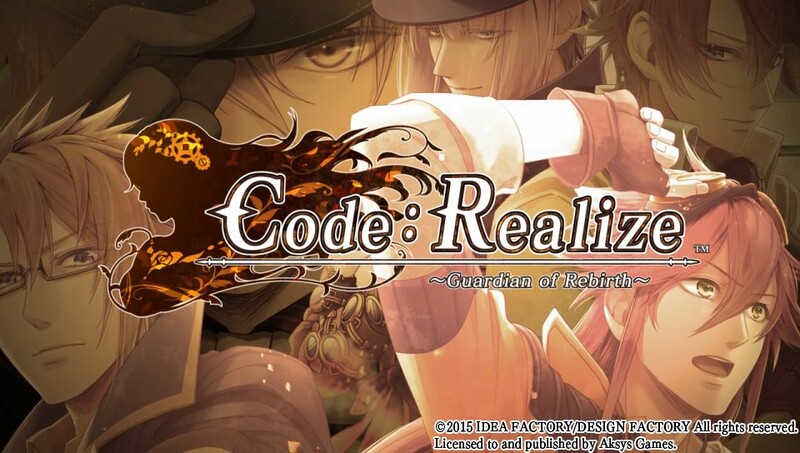 Code: Realize is an intensive reading adventure that can add up to more than 30 hours of gameplay. If you are an anime fan, this is a fun experience as well because the voice acting and character art are all great. The game is simple, easy to follow, and pretty straight forward as far as playing visual novels go. So sit back, relax (?!) 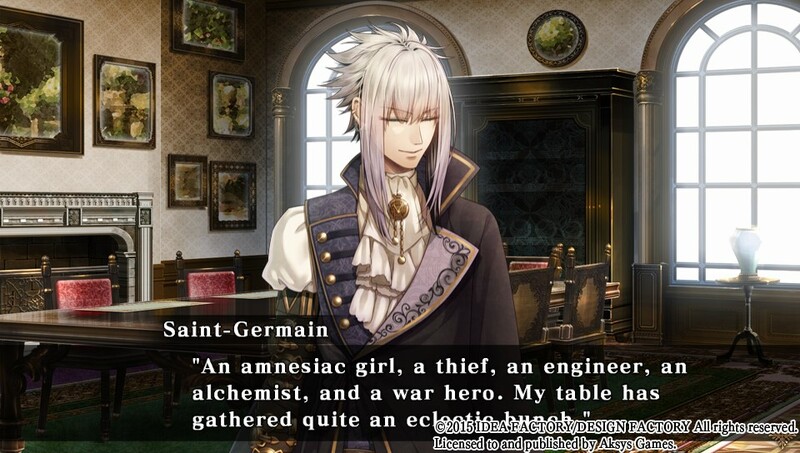 and watch a tale of Cardia’s party with the thief sort of hero, the engineer who gets picked on, a complete jerk, a wanted nerd, the bratty kid, and a mysterious landlord literally only going along with them all for the fun of it. Also there’s a dog.